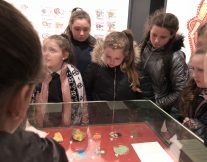 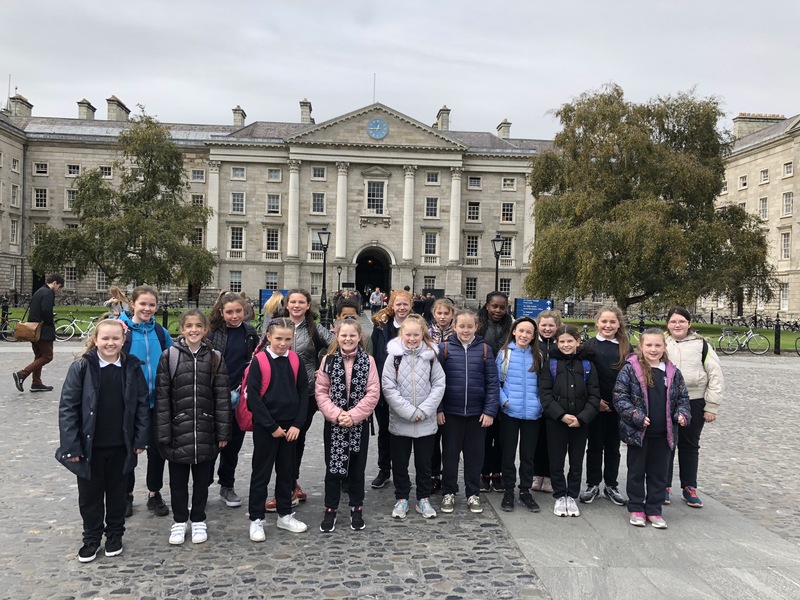 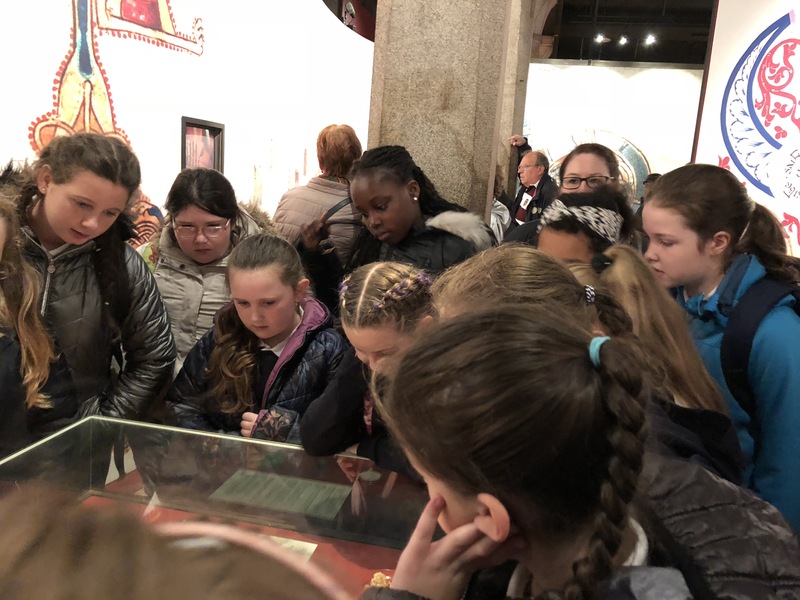 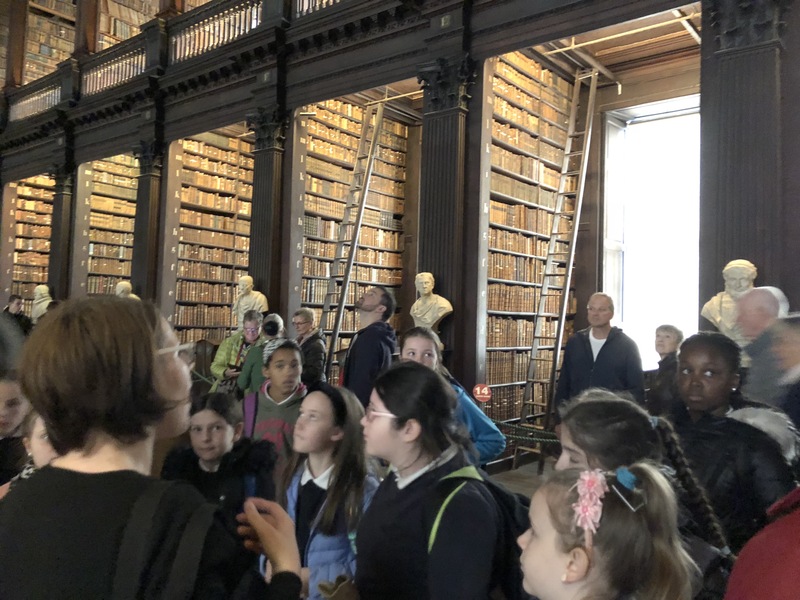 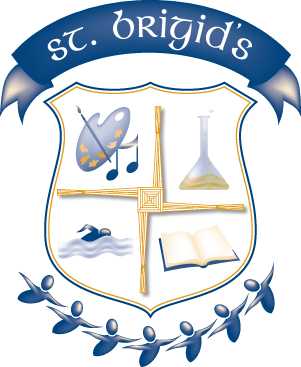 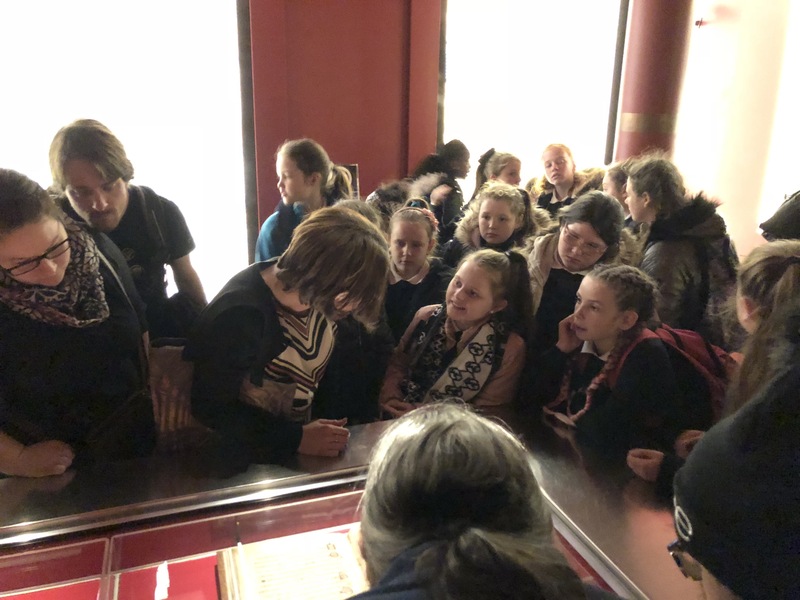 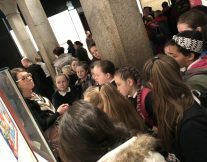 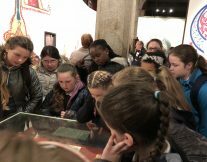 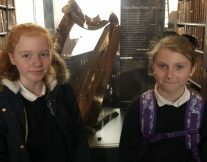 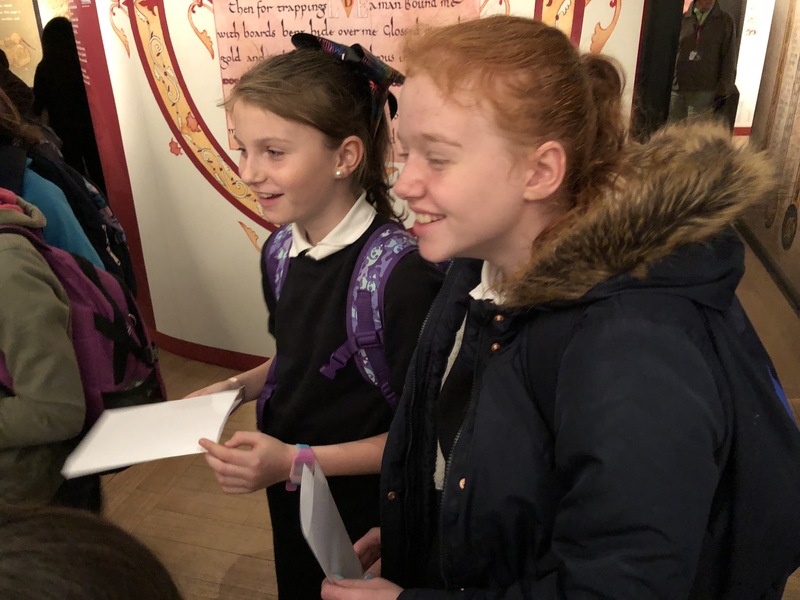 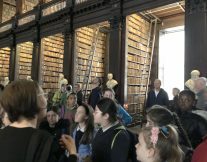 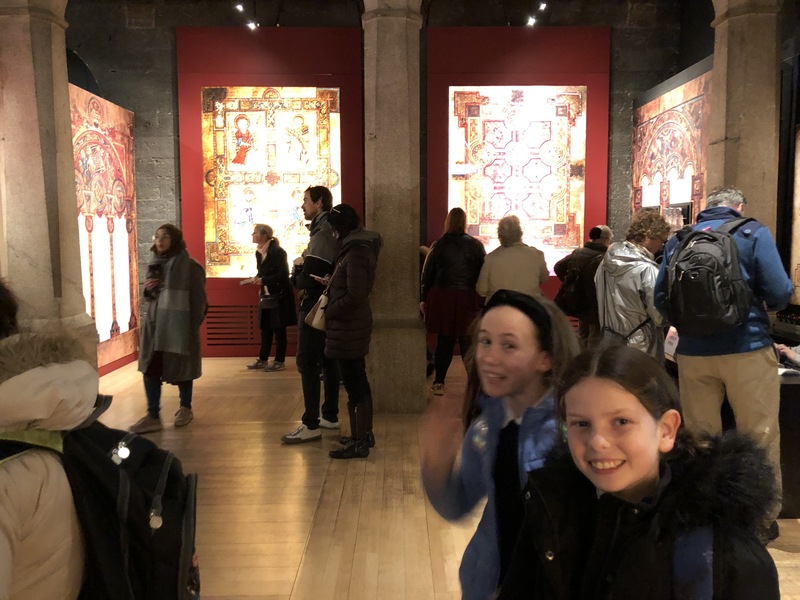 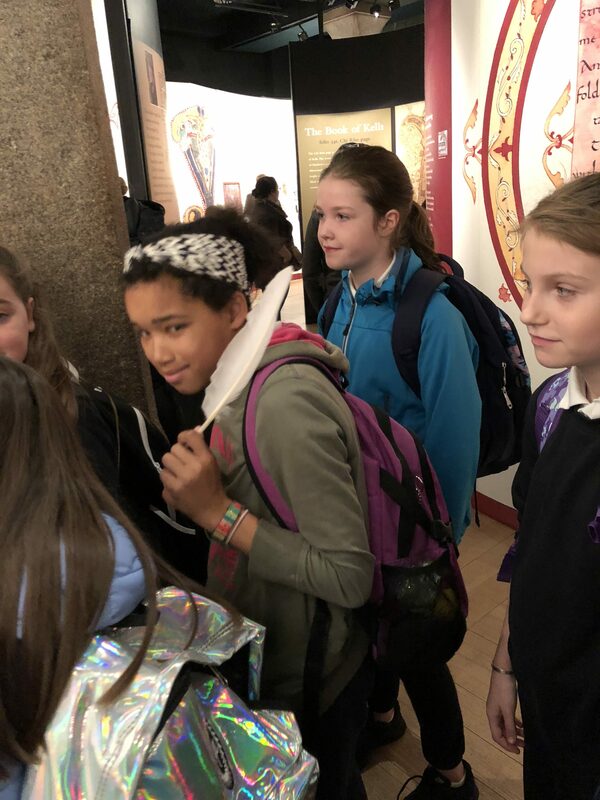 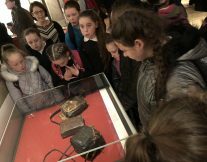 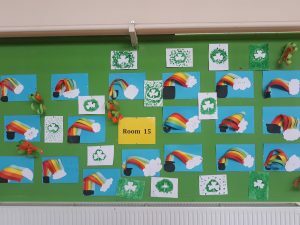 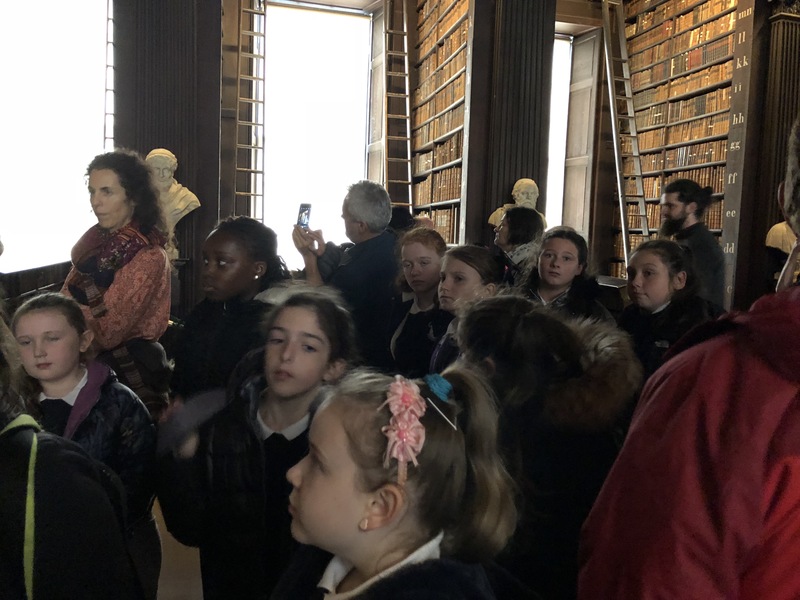 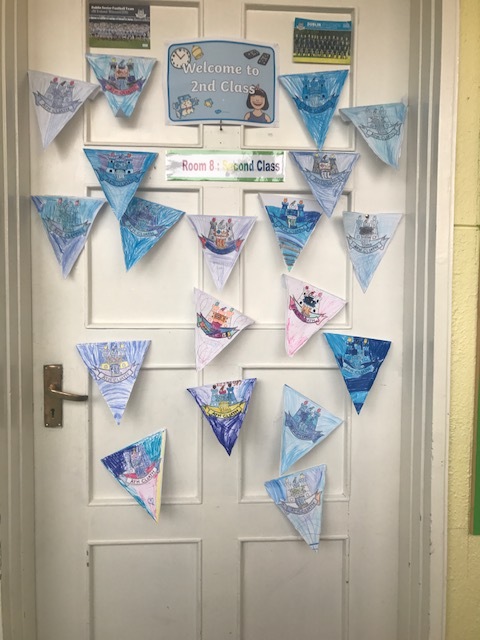 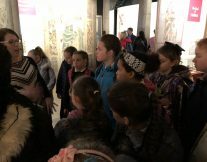 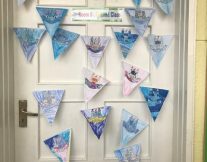 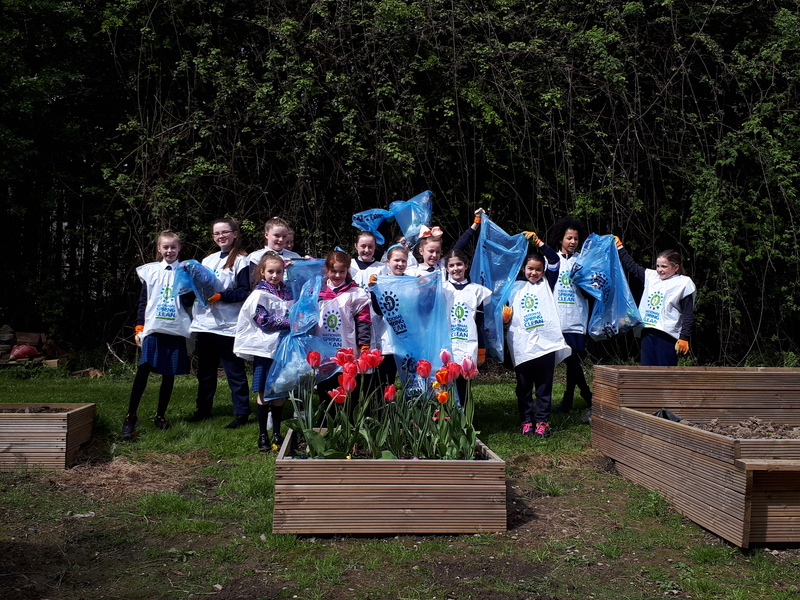 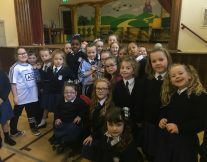 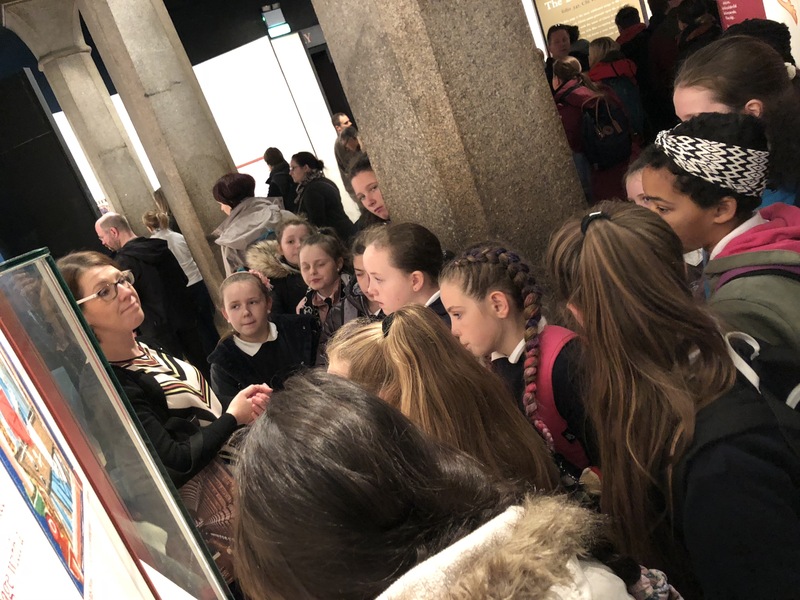 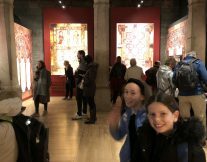 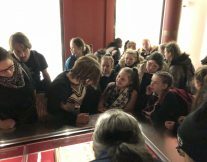 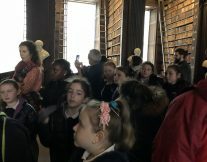 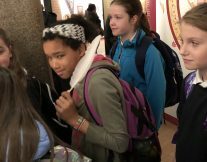 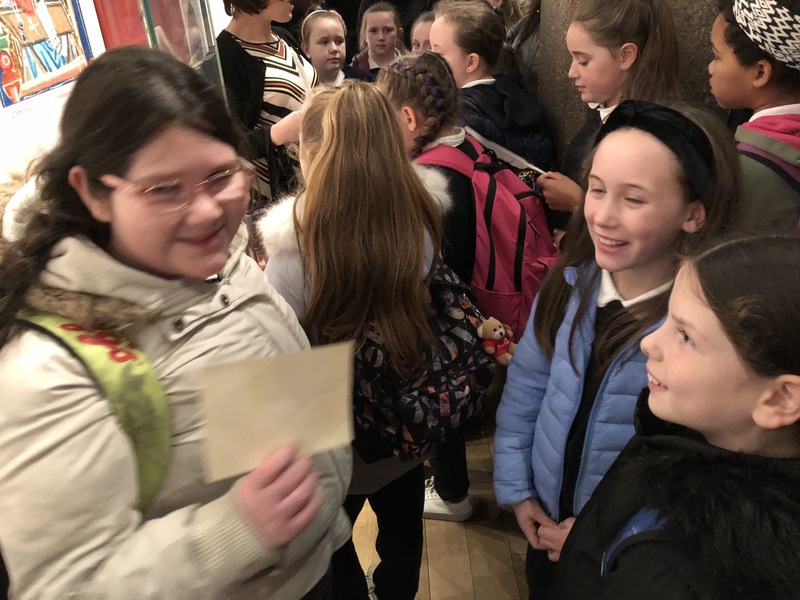 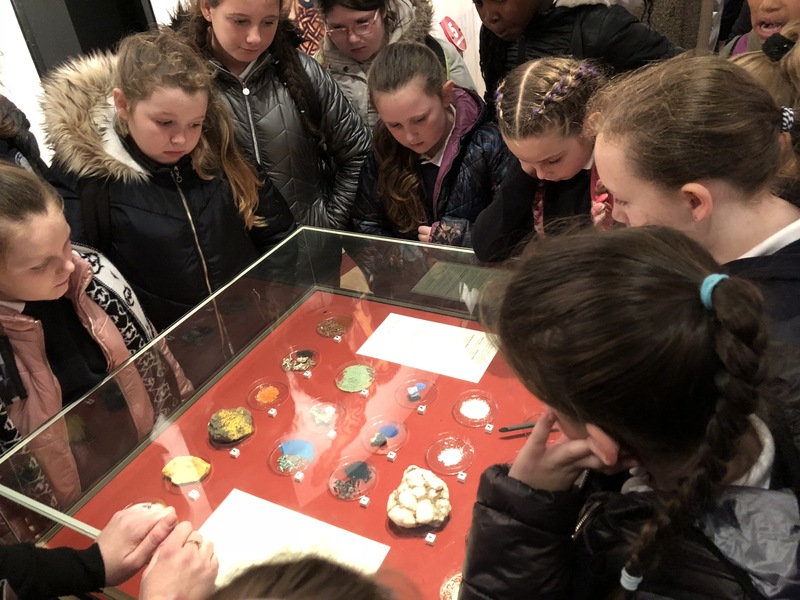 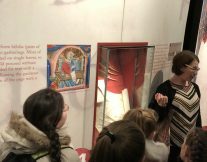 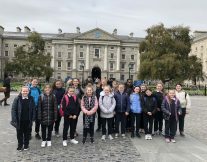 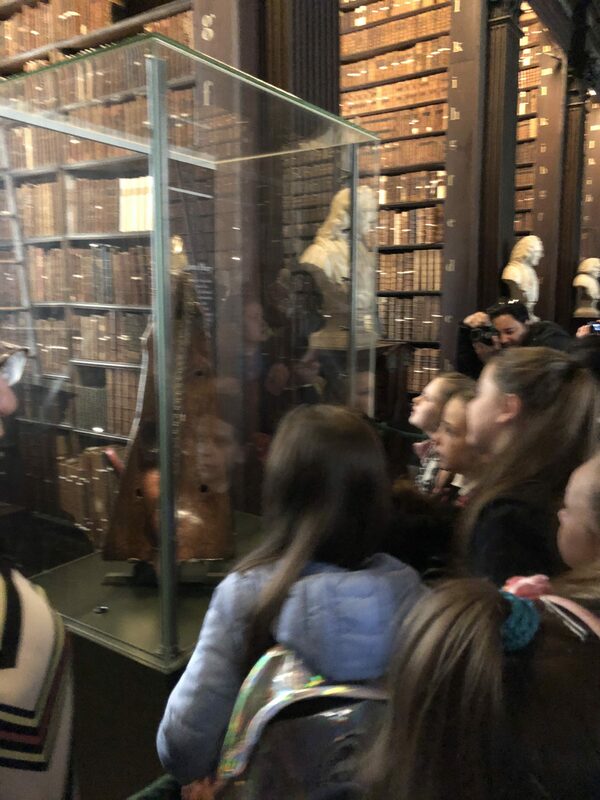 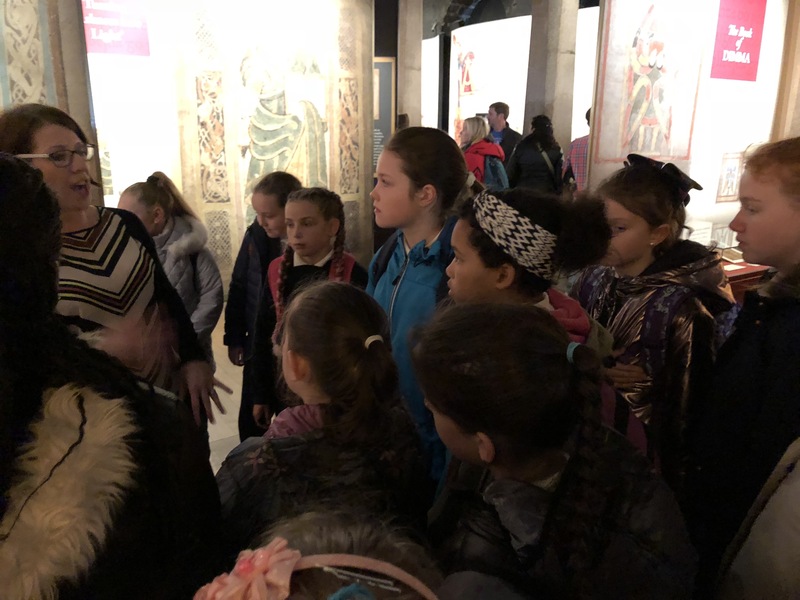 On Tuesday 16th of October the girls from Ms. Caffrey’s 5th class travelled by bus to the city centre to see the wonder that is the Book of Kells. 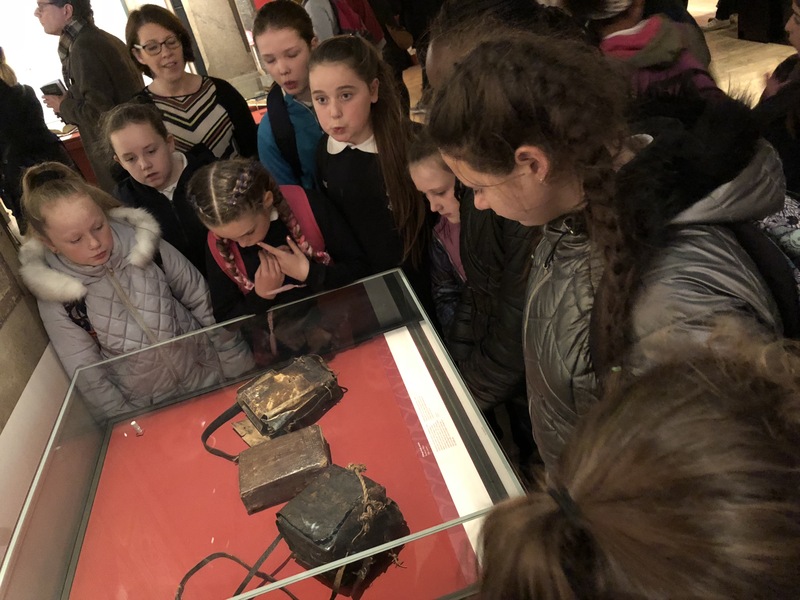 We experienced the beauty of the book seeing two volumes of the book that was on display. 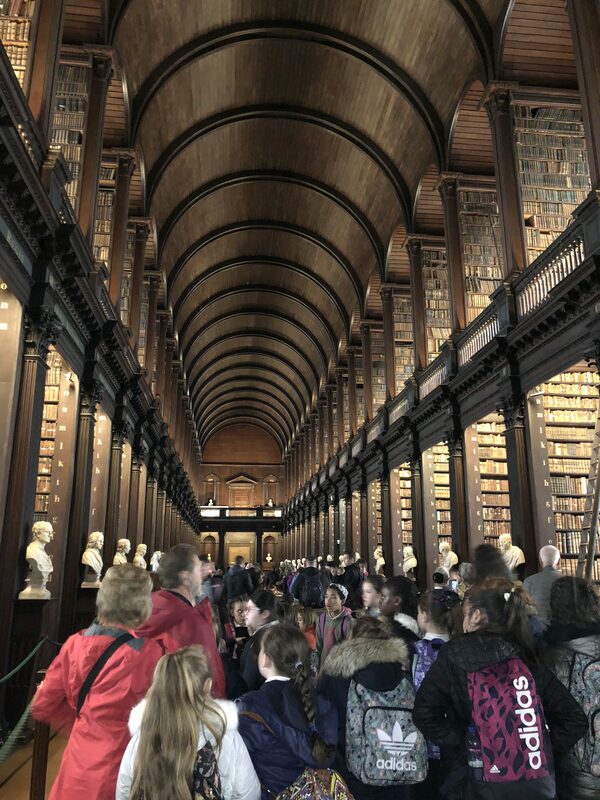 One of them was filled with pictures and the other the neatest handwriting we’ve ever seen. 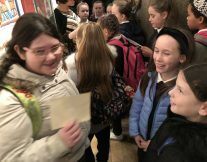 Our tour guide Sinéad told us all about the Monks and how they came to live in Ireland from the island of Iona. 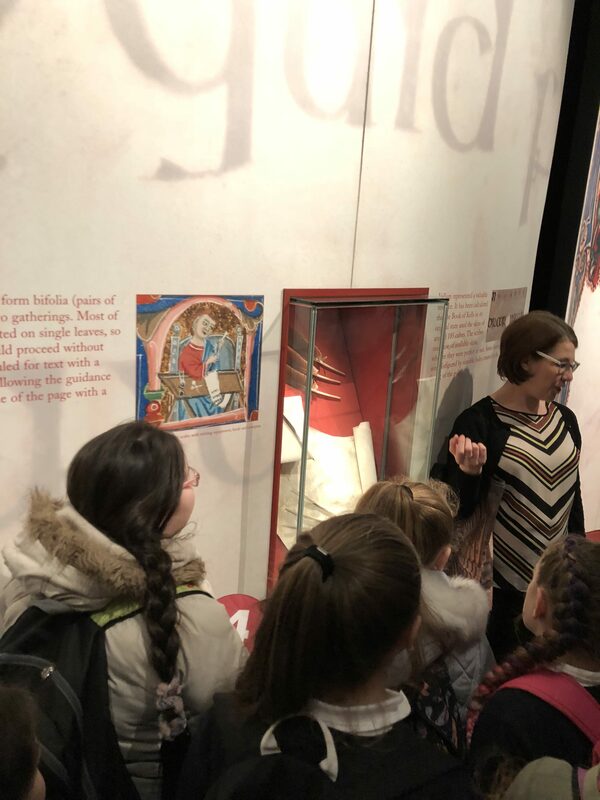 Sinéad showed us the materials they used to create the book including quills, the ink and the special paper used called vellum. 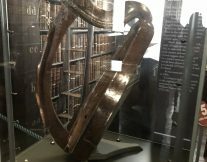 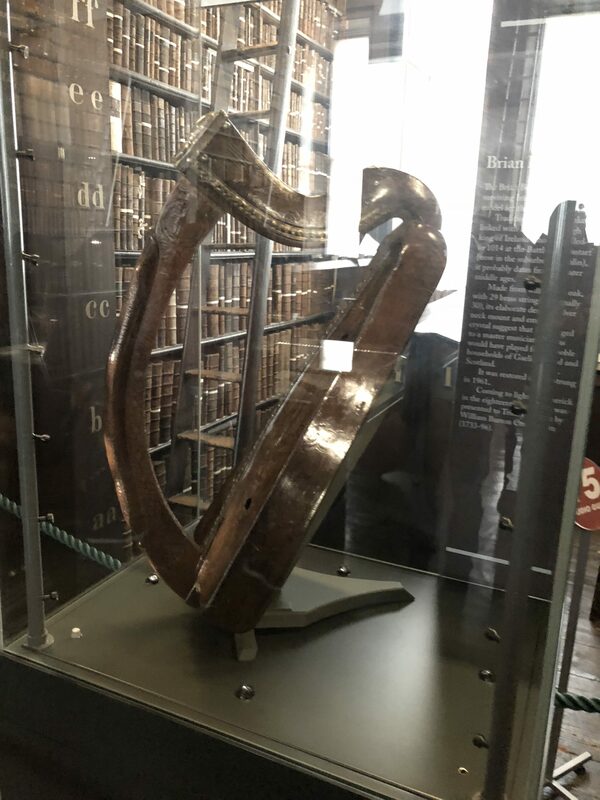 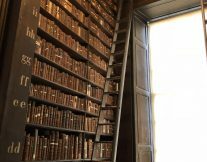 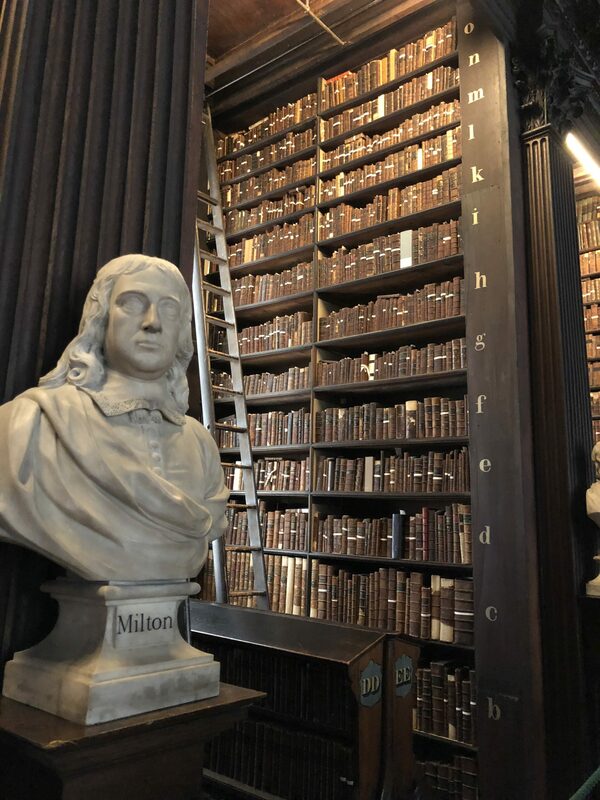 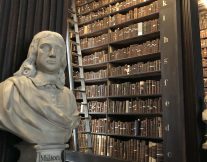 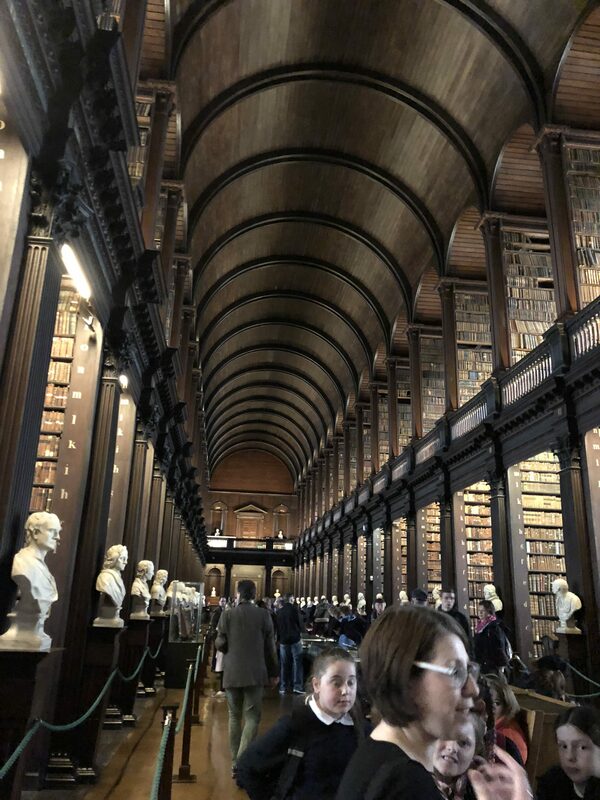 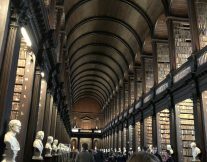 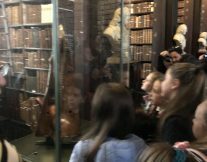 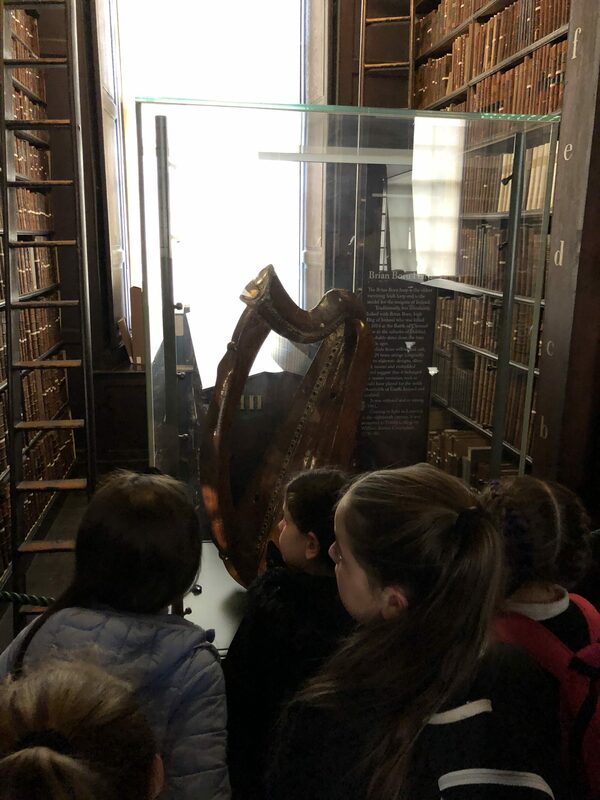 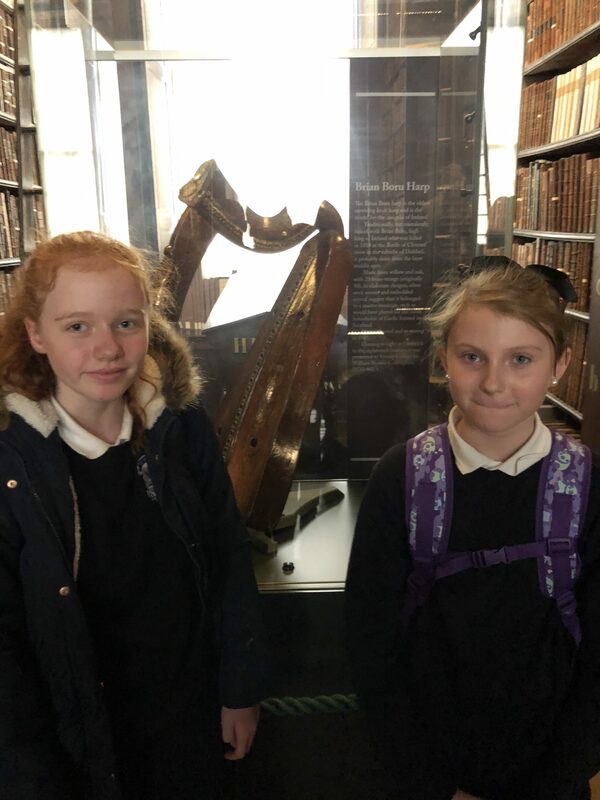 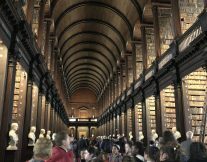 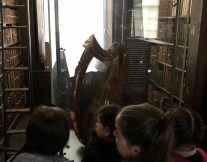 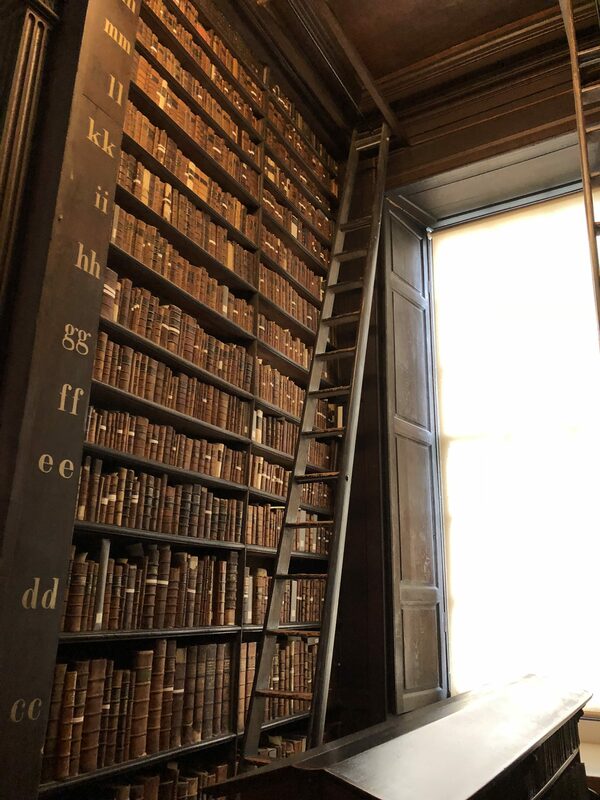 We were also lucky enough to get to see the fabulous ‘Old Library’ in Trinity College where the Brian Boru harp is stored. 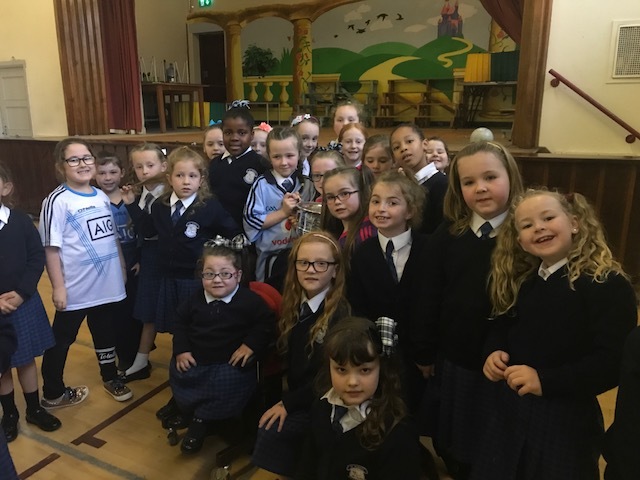 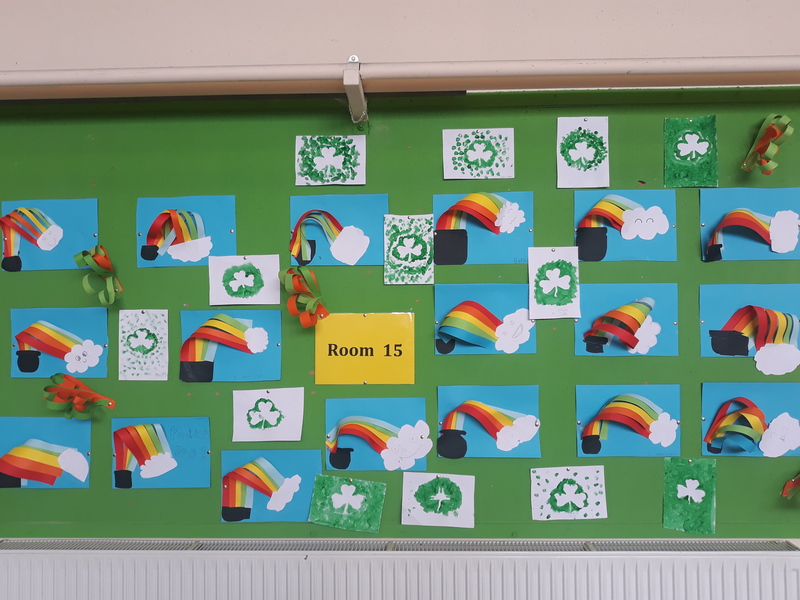 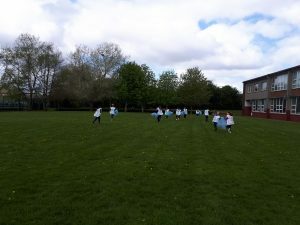 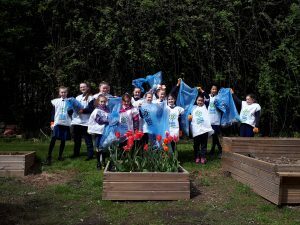 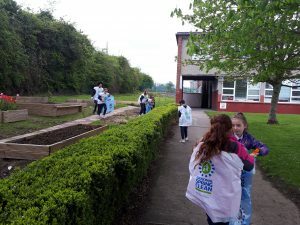 We really enjoyed the facts and stories that Sinéad shared with us. 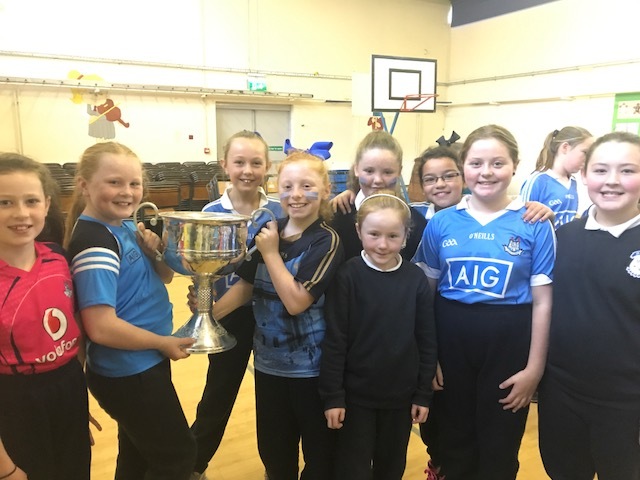 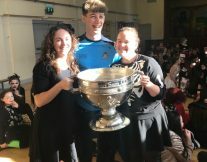 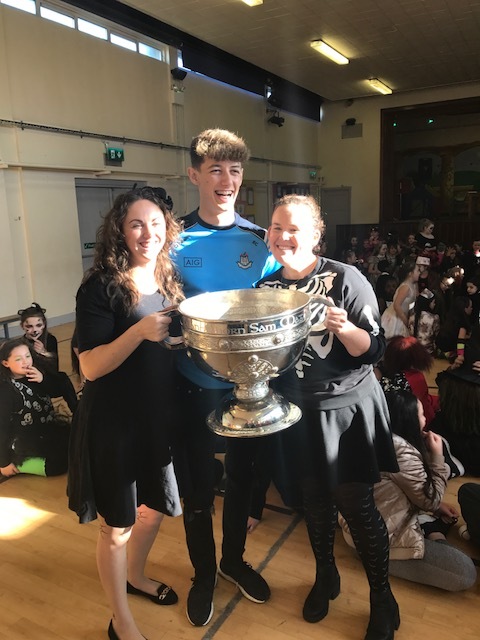 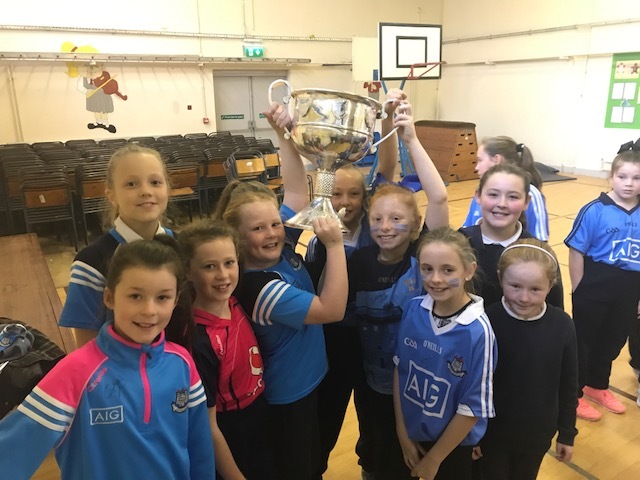 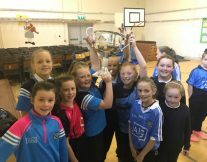 We were very lucky to have both the Brendan Martin cup and the Sam Maguire in to visit us this year. Maybe some of these girls will be lifting the Brendan Martin Cup in the future!